When foraging for food and water, cockroaches contaminate food, surfaces, utensils as they go. They can be vectors of disease, being in contact with numerous pathogens, such as those causing food poisoning and many other bacteria. A thorough inspection to identify the species and look for the good roach traps are essential. What Are The Best Roach Traps? 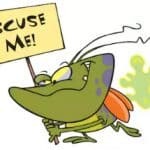 Unfortunately, roaches are common both in private houses and public buildings and have become an obvious health concern. 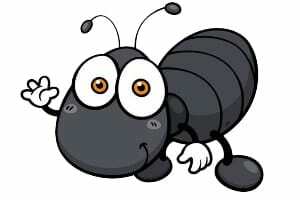 Eradicating these insects is extremely difficult, however, being properly informed about roaches can help you face the challenge without blinking an eye. This guide will help you eliminate the problem step by step and reduce the risk of future incidents. Learn as much as you can about roaches. First thing you should know before starting this uneasy process is that the smartest thing for you to do is to use their biology against them. What does this mean? Know your enemies! Learn as much as you can about them. 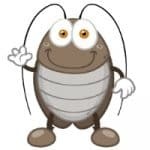 Identify the type of cockroaches living in your home. Do not let pesticide companies play on your emotions. Do not try too much too fast and don’t believe any commercial. Instead, search carefully for all needed information before deciding what trap to choose. 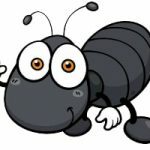 Have you heard that these insects have really disgusting habits: starting from defecation ending with eating other roaches when they die? When you choose a spray as a weapon, it is only contaminating the area and repelling them. That is why sprays are considered a temporary solution to this problem. What happens when you use baits for treating the unwelcome guests? A roach eats it and usually have enough time to go back to the nest where it dies. When it dies, it produces a special vomit. For some reasons, the rest of the nest find it delicious, so they eat it, that causes their death too. 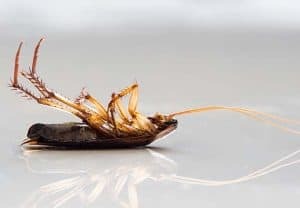 Thus, baits produce a secondary-kill effect, which make them the best roach traps ever. 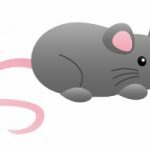 I will guide you through the whole way: from where to put the poison to choosing the best roach bait trap among famous brands. Roaches are social insects. They like to be around each other and search for food together at night. The best place to put roach traps is a corner of your house, where they usually gather. You may also place it under sinks or in cabinets. Make sure that it is the only food available to them in the kitchen. In addition to putting baits in known infestation areas, you must also place enough traps to “cover” the areas of suspected infestation. The simplest method to monitor roaches is to inspect hiding places using a flashlight or place a glue trap. 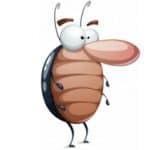 What are the best bait traps for roaches speaking of brands? Below is a quick-list of my favorites that will get the job done fast. 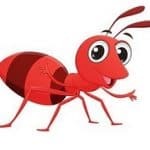 Its active ingredient acts by attaching selectively to specific neurotransmitter receptors that function in the peripheral motor synapses of insects. Raid is number one name in line of insecticide products, usually considered the best brand of roach traps. Small roach baits in two 12-Count boxes are able to remove infestation entirely after several weeks. Raid Double Control also prevents roach reproduction. Baits don’t smell and can be put in hard to reach spots. The downsides are the cost and limited indoor-only usage. Moreover, Raid is strong and extremely toxic, so you have to use it only as directed, wash your hands carefully after touching it and keep it away from children and pets. Its active ingredient belongs to the phenylpyrazole chemical family. Fipronil disrupts central nervous system normal function. 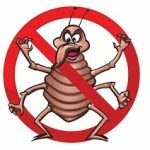 Researches show that fipronil cannot be effective for all types of roaches. In bioassays evaluating the bait susceptible strain, all of the bait formulations caused 100% mortality within the 7 days, including Fipronil. However, after 7 days only 5% mortality was recorded for the bait averse cockroaches exposed to this bait. The product is convenient for usage: it includes small stations, that you should place under appliances, sink, or on floor along baseboards. The baits must be put properly so they are touching walls and corners. A big advantage is their special stations for baits so there is no mess around. The cost is lower than Raid. According to the study of D.Miller and T. Mccoy (Virginia Polytechnic Institute and State University, Blacksburg, VA), the indoxacarb formulation showed the most rapid results with 100% mortality recorded within 24 hours. 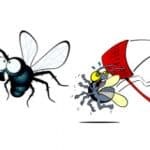 Furthermore, the formulation of some baits is no longer appealing to bait averse roaches (American and German in particular), meaning they will not choose the bait among other food. Feeding indices for the indoxacarb bait formulations are positive (even bait averse cockroaches preferred both of the indoxacarb baits to dog food). It happens because a formulation for the new Advion Cockroach Gel was developed with technology to solve this problem and change the gel bait-aversion behaviour exhibited by German and American roaches. Through chemical optimization methods, scientists designed the active ingredient to be bio-activated by target insects themselves. The price for this innovative bait matrix is comparatively high: from $30. effective only for a particular type of roaches. Convenient in usage: the transparent red top let you monitor bait consumption while allowing roaches into the darkness, because roaches are not able to differentiate light in the red spectrum. 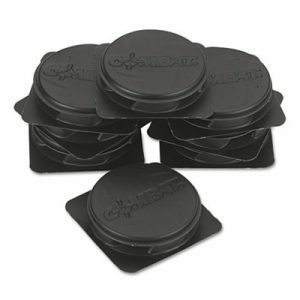 This product goes with child-resistant bait stations. 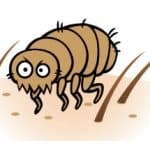 According to research, negative feeding indices showed: MaxForce FC (0.01% fipronil), MaxForce (2.15% hydramethylnon) when feeding bait averse roaches. After 7d only 5% mortality was recorded for the bait averse cockroaches exposed to fipronil bait. The abamectin bait performed significantly better during the researches than either of the MaxForce products with 75% mortality after 7 d for the bait averse roaches. Vendetta seems to be the thickest gel between products of its competitors. The price is higher than Advion, but the ingredient is the same. You should apply 3-5 spots per 10 linear feet. It also does not contain 8 most common food allergens. does not contain 8 most common food allergens. InVict Gold Roach Bait Gel contains 10 baits with an active ingredient imidacloprid to kill bait averse german roaches. It is crucial to know the biology of roaches in order to win the fight against them. If you know about their main habits and the way they live, you understand why baiting is the best roach trap. According to several researches that compared bait formulations for efficacy, the Indoxacarb formulations produced the most rapid results (within 3 days), achieving 100% mortality among “bait averse” and bait susceptible strains. That is why it would be fair to consider baits with this formulation best roach traps for German roaches. Abamectin B1 was also effective (from 75% to 88,8 % within 5 days). Hydramethylnon bait produced < 50% mortality during the same period. The lowest results showed Fipronil baits: only 5% mortality of bait averse German roaches. Feeding indices calculated for the indoxacarb bait formulations were also positive, all the cockroaches chose these baits over food. I would suggest getting one tube each of Advion, Vendetta, and Invict, and use one for 5-7 days, then apply the next one for 5-7 days, and then the final one. If one gel bait didn’t work for you, the other might, so don’t lose hope! 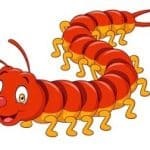 Can you tell me how to get rid of german roaches? I’ve had them for the past two years and I keep spraying and spraying but they never seem to die.